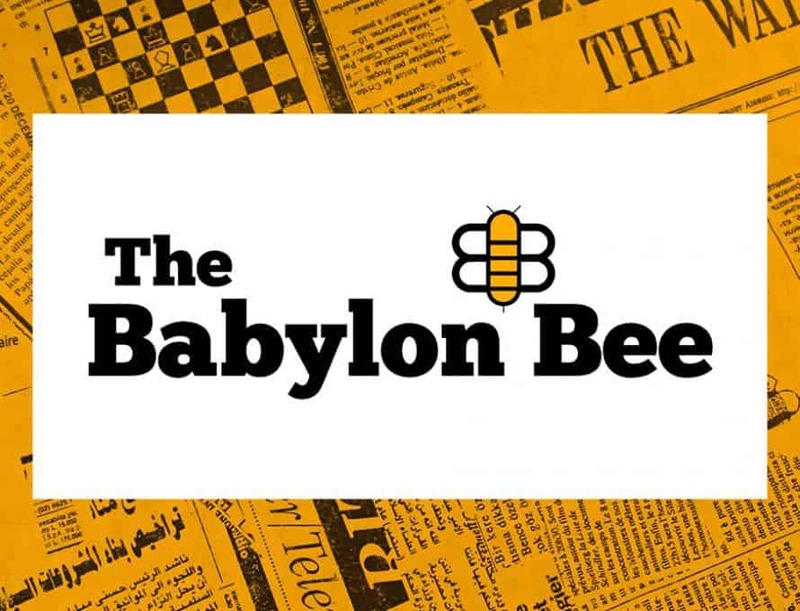 DETROIT – Adam Ford, the man behind the Christian tongue-in-cheek news website The Babylon Bee, has sold the publication. Ford wrote on his website last month that he had sold the humor site – recent headlines include “Local Baptist Careful To Fully Immerse Chick-Fil-A Nuggets In Honey Mustard Sauce” and “Youth Pool Party Revealed To Be Covert Attempt To Inflate Church Baptism Numbers” – to a Christian entrepreneur named Seth Dillion. Longtime head writer Kyle Mann would become the full-time editor. He retained ownership of his recently released satire book, How to Be a Perfect Christian. Ford gave several other reasons for stepping away from the massively popular site. For one, he has launched a non-satire Christian news site, a Drudge Report-style news aggregator called The Christian Daily Reporter (www.christiandailyreporter.com). “I fully realize that a major reason the Bee (and my webcomic, for that matter) was able to blow up like it did was because of social media — Facebook in particular,” he wrote. “This is just how it goes when you make things for the internet: you create, you post to social media, you hope people like it and it spreads. But the power that Facebook held over me as a content creator began to make me very uneasy. “To become a successful content creator you have to use Facebook, and using Facebook, especially if you’re a Christian and/or a conservative, is sort of like going to a mafia loan shark for $10,000. They’re happy to give it to you, just like Facebook will gladly give you the opportunity for your content to go viral on their massive platform. But then, if it does, they own you. You have to conform to their rules and their worldview, and jump through every hoop they put in front of you, if you want to remain a successful content creator. It’s just like a loan from a local mob guy: sure, now you’ve got $10,000 in your hand, but you’re going to pay a high price in return. You’re going to have to alter whatever needs to be altered — even your worldview — to accommodate Facebook. “This takes us into the bigger and scarier picture, which is that Facebook and Google have a practical duopoly on information. The web is where everyone gets information about everything, and they literally control what information the world sees. As a follower of Christ, I am primarily concerned with glorifying God, loving my neighbor, and spreading the gospel. I’ve thought about this deeply and carefully, and I think the centralization of the internet is one of the greatest threats to the spread of the gospel, and the well-being of mankind, that we face today. Maybe the single biggest threat. It is tyranny over information.